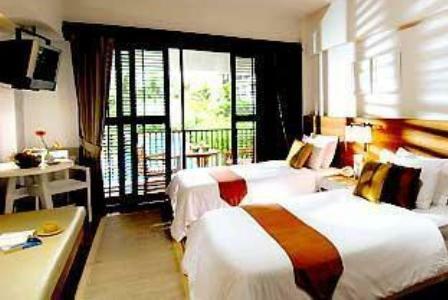 The Banthai Beach Resort Phuket is perfectly positioned in the heart of Patong Beach, the main tourist area in Phuket. 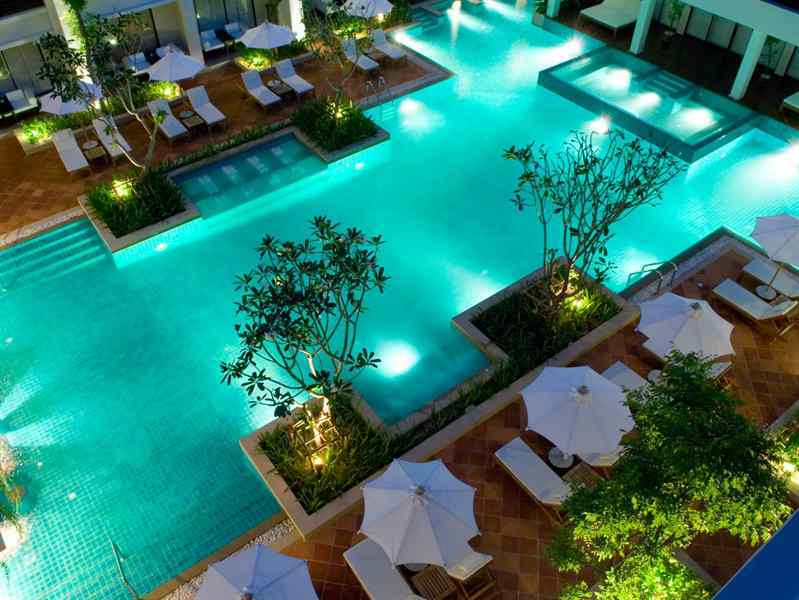 The Banthai is a family friendly four star resort, which is set over five acres of landscaped grounds, featuring three large free-form swimming pools all with swim-up bars. The Banthai is the perfect retreat away from the hustle and bustle of the outside world, offering a secluded atmosphere of tranquility and convenience in a peaceful setting in the heart of Patong Beach. 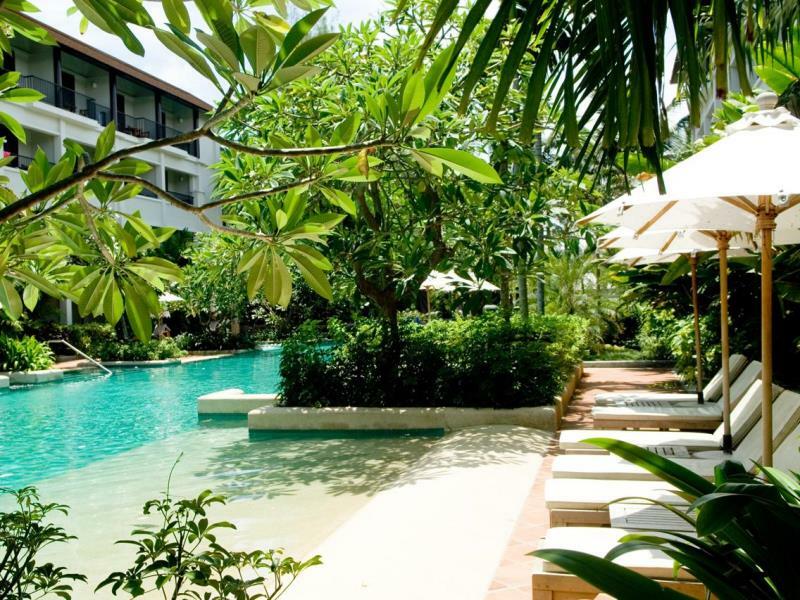 Being centrally located in the heart of Patong Beach, the Banthai Beach Resort Phuket, is an ideal choice for family vacations or romantic getaways. 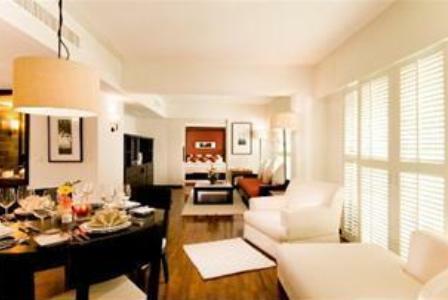 The Banthai is within walking distance to all the shopping, markets, restaurants and nightlife that Patong has to offer. With the beach just a short walk across the road. 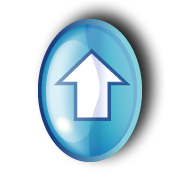 Taking into consideration the location of the 4 Star Banthai Beach Resort in Patong, the room rates are very reasonable and good value for money. There are a range of rooms at the Banthai Beach Resort Phuket ranging from Superior to Deluxe Pool rooms and a selection of Suites. Superior rooms at the Banthai are all located on the 2nd, 3rd and 4th floors of the resort, with views from the balcony overlooking the pools. 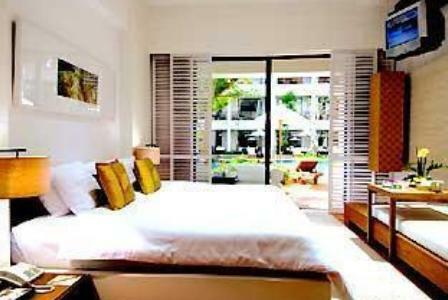 Deluxe Rooms are all located on the ground floor with a terrace that is only steps away from the swimming pool. Deluxe pool rooms are located on the ground floor. 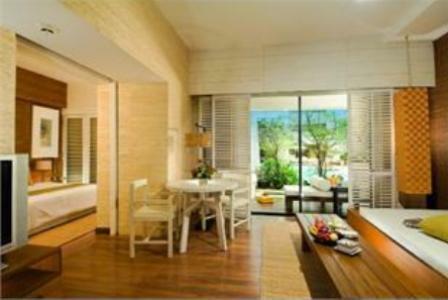 These rooms feature a terrace with a step down Jacuzzi with direct access to the swimming pool. Superior Suites are located on the 2nd, 3rd and 4th floors of the resort with views from the balcony overlooking the pool or gardens. All of the superior suites at the Banthai feature a living area with TV and a separate bedroom. 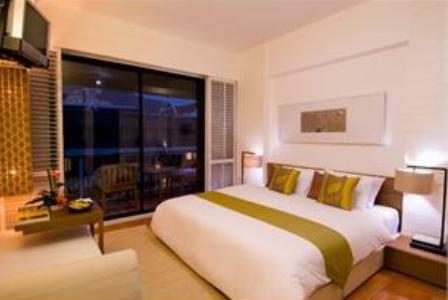 There is 2 deluxe suites at the Banthai Beach Resort, which are located on the ground floor. 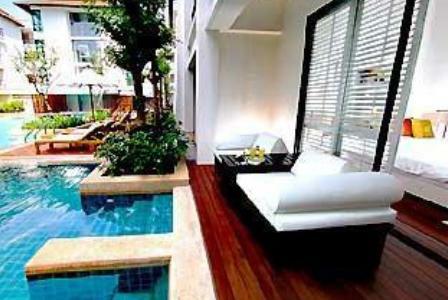 These suites have a terrace and a step down Jacuzzi with direct access to the swimming pool. 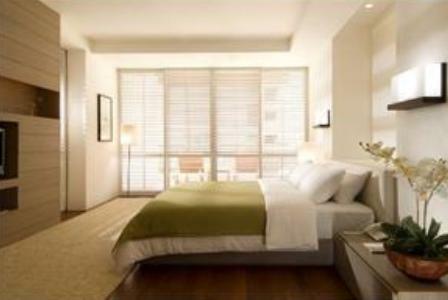 The deluxe suites come complete with a living room and a separate bedroom. The Grand Suite is located on the top floor with views from the balcony overlooking the swimming pool and gardens. The Grand Suite features a generous sized living room with all modern amenities and two bedrooms, which are both fitted with a satellite TV and en suite bathrooms and one Jacuzzi. The Villa Suites offer the ultimate in comfort and size. These villas are set over two floors featuring two bedrooms on the second floor, each with its own balcony, LCD TV and en-suite bathroom, one with a Jacuzzi. The first floor features a private entrance and hallway that leads to the formal dining area and expansive living area which is fitted with all the modern amenities. From the private terrace enjoy a swim in your own pool, which also gives you direct access to the main pool. The Banthai Beach Resort and has a range of facilities and services including, not one but three swimming pools, and it's very own shopping plaza. There is also a babysitting service, function rooms, the Port Restaurant, and a selection of bars. If you need to unwind treat yourself with a visit to the Spanakarn Spa, where you will find a selection of treatments and massages available as well as a Jacuzzi, steam room and sauna. Conveniently located on the doorstep of the Banthai Resort is Starbucks, McDonald's, Burger King, a convenience store, pharmacy and money exchangers to name just a few. Don't forget the Banthai Resort has a free shuttle service that will take guests into Phuket Town. The Banthai Beach Resort Phuket is very good for families with younger kids and fantastic for families travelling with older kids. Read what other travelers wrote about their stay at the Banthai Beach Resort Phuket on TripAdvisor.